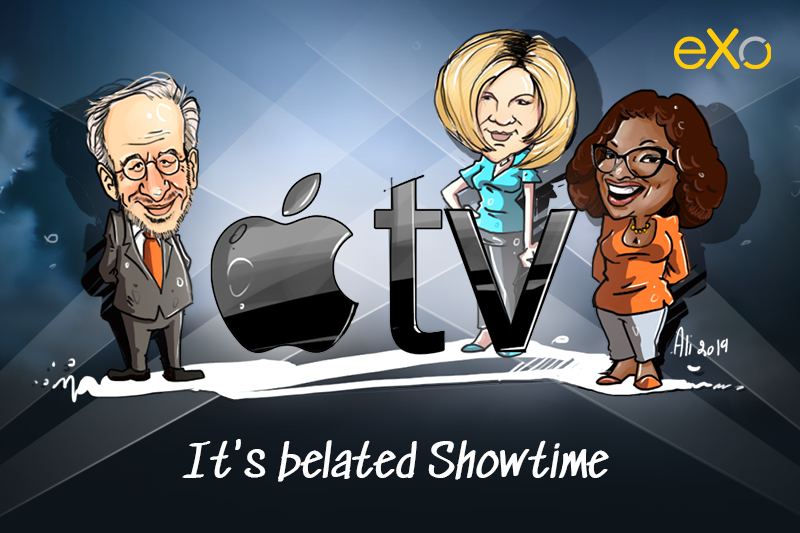 Cartoon of the Week: Is it too late for Apple to join the TV streaming service? Apple announced its own TV and movie streaming service this week, bringing together different streaming services such as HBO and Showtime and traditional cable subscriptions. For a company struggling to diversify beyond the iPhone, whose sales have started to decline, penetrating a business already dominated by Amazon and Netflix isn’t that easy. The least we can say is that Apple is very late to this game. “Netflix has become the gold standard in how to create and distribute content, using all the data they have about their viewers” eMarketer analyst Paul Verna said. To overcome its rivals’ strategic positioning, Apple is bringing superstars such as Oprah Winfrey, Jennifer Aniston and Steven Spielberg to amplify the attention on the streaming service. Each took the stage and talked about his or her show, promising a quality entertainment. Chief executive Tim Cook also gave a sneak peek of the tech giant’s plans to transform the television viewing landscape. The pricing has not been announced, but we can expect the launch sometime this fall. Follow eXo Platform’s board Cartoon of the Week on Pinterest. Football Fans: Facebook will never let you go! I am a marketer and social media junkie. I work to optimise eXo’s online brand with content, social media technologies and digital marketing. I mainly write cartoons but I am also a big fan of topics related to internal communications in the digital workplace. I would love to connect with you, so get in touch and join our LinkedIn group ‘Intranet & Digital Workplace’.